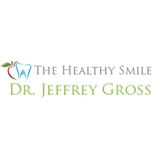 The Healthy Smile Dr. Jeffrey Gross (Eastlake) - Book Appointment Online! At The Healthy Smile, our mission is always on prevention over intervention. We assist you in achieving and maintaining the highest level of dental health and wellness thru our total body wellness approach to dentistry which includes all aspects of a healthy lifestyle and a holistic whole body approach to well-being. We want to help you achieve the most beautiful, whitest, straightest teeth possible so you can have the self confidence to do anything you want to in life. Our emphasis is on stopping or reversing tooth and gum disease using proven techniques and therapies and minimally invasive cosmetic and restorative dentistry. We utilize the latest state-of-the-art techniques, sterile water equipment, and the highest quality materials to improve the health, the shape, the color, and the alignment of your teeth to give you the smile you’ve always wanted.